We’re very excited that our beautiful Springhill Suites in Ontario had a great Grand Opening party! The fantastic and friendly team had such a good time with guests, associates, and vendors. Looking good, guys! Congratulations to a few of our Marriott hotels for being recognized for their great service! 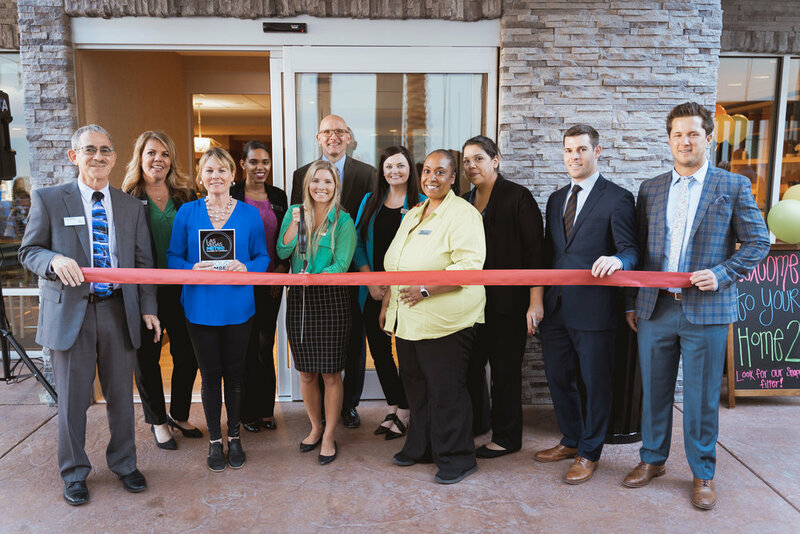 Our beautiful Las Vegas Home 2 Suites had a fantastic Grand Opening Party, where Dani Tharaldson got to cut the ribbon from the Chamber of Commerce! Everyone had a great time, and we thank our valuable guests and clients who came to celebrate with us! One of our beautiful hotels was recognized by Hilton as the Global Winner of the Highest Extended Stay Percentage in 2018! We’re very proud of the hardworking team in Rancho Cucamonga. Keep striving for greatness! Thank you to everyone in the community who joined us for our Grand Opening at the Residence Inn Rocklin Roseville! It was amazing showing off our property and what we have to offer. Special thanks to the Rocklin Chamber of Commerce for its Ribbon Cutting Ceremony! THM welcomes brand new Towneplace Suites in Las Vegas! Tharaldson Hospitality Management is excited to announce the opening of our 47th hotel, the TownePlace Suites Las Vegas City Center! With 111 rooms and right within walking distance to the historic Vegas strip, we’re eager to see the success of this beautiful new property. Congrats to the hard-working team on opening this hotel! 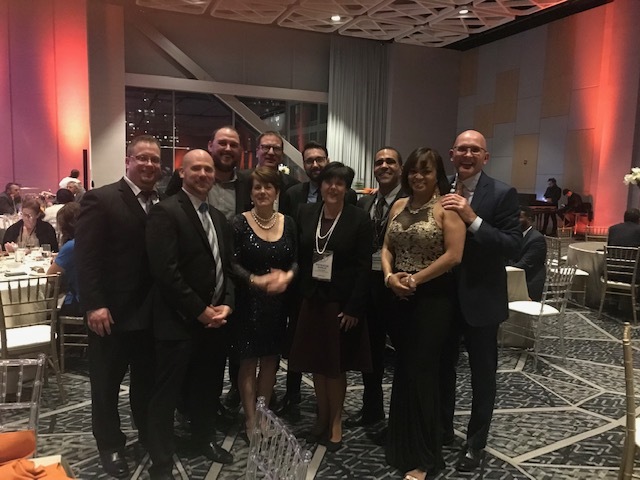 Tharaldson Hospitality Management is proud to announce the Staybridge Suites Columbus Polaris received the prestigious IHG (InterContinental Hotels Group) 2018 Newcomer Award as one of the best properties to join the system within the last year. The Staybridge Suites Columbus Polaris was one of only two Staybridge Suite hotels to be given this high honor for 2018. To qualify, recipients consistently demonstrated the highest standards of quality and overall guest satisfaction rankings over the previous 12 month period. 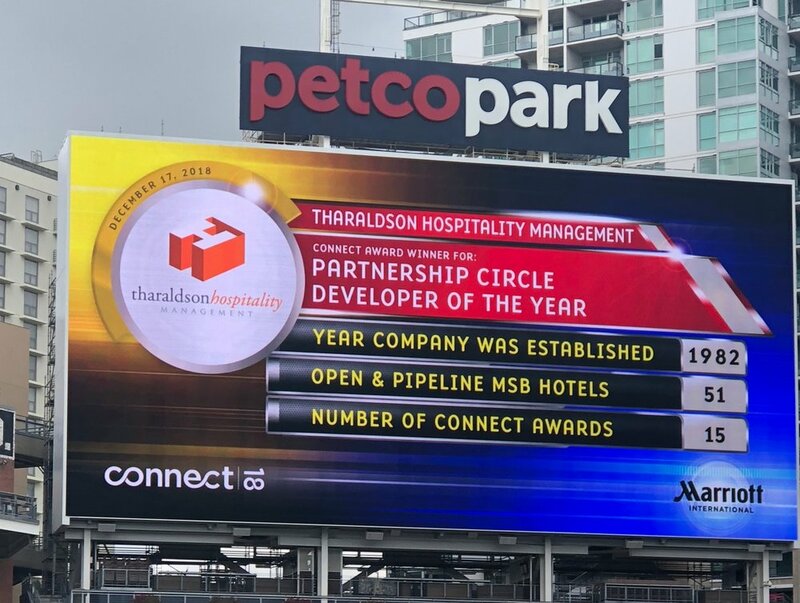 THM was named Partnership Circle Award Winner at the Connect 18 Conference in sunny San Diego! We were also named Developer of the Year! Both awards were accepted by Gary Tharaldson and executives of the company during the Marriott Owner’s Conference in December. We strive to be the best we can be and we’re appreciative of all our hard working associates. These awards recognize all of their effort and commitment! Brand new Las Vegas Home 2 Suites opens! We refuse to stop opening beautiful properties for our guests! Tharaldson Hospitality Management loves the Las Vegas area and we showed it by opening another new Home 2 Suites! Congratulations to the hardworking team for a successful opening! THM’s very first Home 2 Suites now open! Tharaldson Hospitality Management is VERY excited to announce that our very first Home 2 Suites by Hilton is now open in San Antonio, TX! The team has been working very hard over the past several months to make sure they could add this beautiful new property to our portfolio. Congratulations, San Antonio! Las Vegas team brings in the Holidays—THM Style! We love this fun video from our folks in Vegas; the best way to spread Christmas cheer is singing loud for all to hear! We hope everyone has a great holiday season! We’re very happy to announce the newest Tharaldson property in Roseville, CA! This Residence Inn has a great staff who are excited to welcome all guests to the Roseville area. Located about 30 minutes from Sacramento, this beautiful hotel marks the 44th THM property in our portfolio. Congratulations to the wonderful team! We never stop! One of THM’s new properties is well under way. We’re excited to add this new Staybridge Suites in Newark to our portfolio by the end of January, 2019. 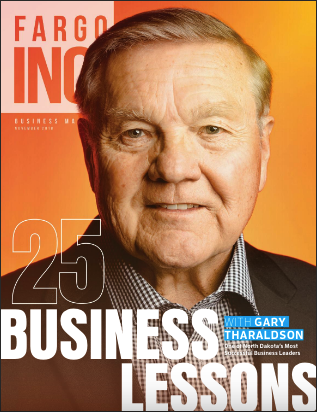 Our beloved founder and CEO Gary Tharaldson sat down with Fargo Inc. Magazine to discuss 25 business lessons along with some other great content. The article includes a lot of great photos, graphics, and of course Mr. Tharaldson’s own secrets to a successful business. You can read the entire magazine in digital form here. 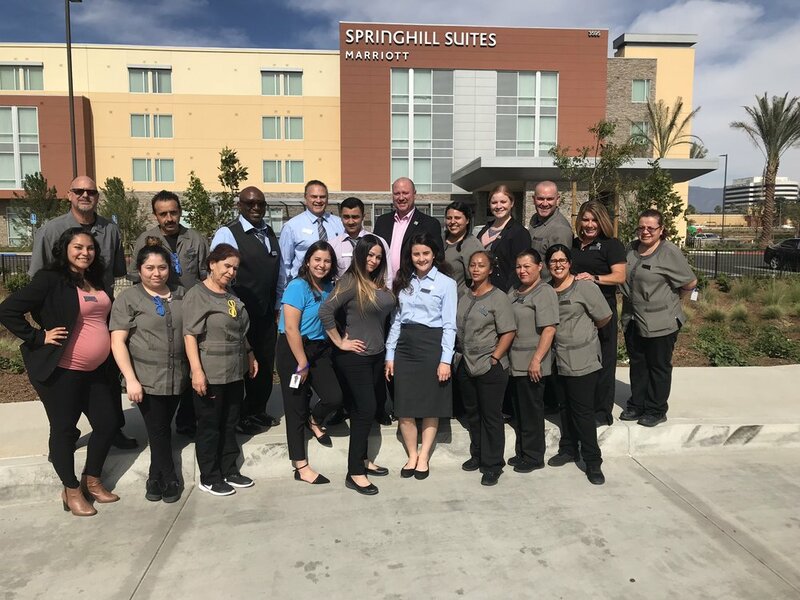 On October 29th, we welcomed the new Ontario Springhill Suites to the THM team! This beautiful property is nestled in the middle of Ontario, CA. Just a few minute drive to the Ontario airport, this 126-room property features free Wifi, pool, fitness center, and much more. Congratulations to this hardworking team! On October 26th, THM opened a brand new property in Sparks, NV. This extended-stay Residence Inn at 300 Legends Bay features 104 rooms with 6 room types. Other in-hotel attractions include a kitchenette in each room, free breakfast, high speed internet, and is pet friendly. We’re excited about the possibilities at this new property! On October 5th, employees from our team in Decatur, IL donated over 446 pounds of food to those in need. This drive is a yearly event that the local community participates in, with over 1.5 million pounds donated in total. We love helping our community! General Manager Bryan Fish and Assistant General Manager Derrell Williams went back to college! The Kansas City RI team took a visit to the Missouri State Career Fair on October 17th to talk about THM’s values and job opportunities. They loved getting to meet everyone! 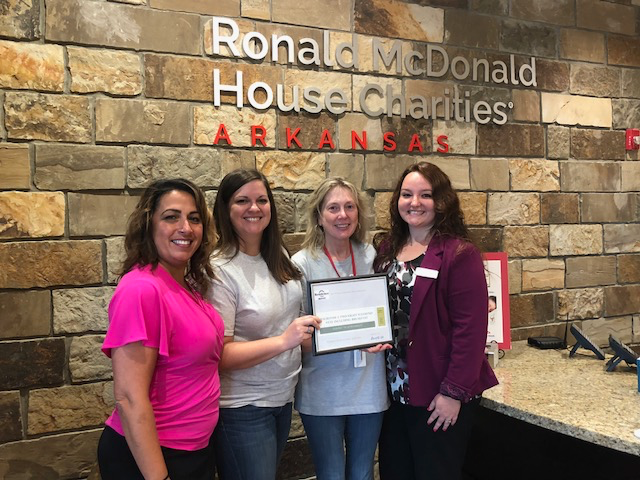 In early October, two of our teams got together to donate to the Ronald McDonald House in Arkansas. Representatives from Denver Residence Inn and North Little Rock Residence Inn worked closely with former president Bill Clinton and Southwest Airlines to donate. 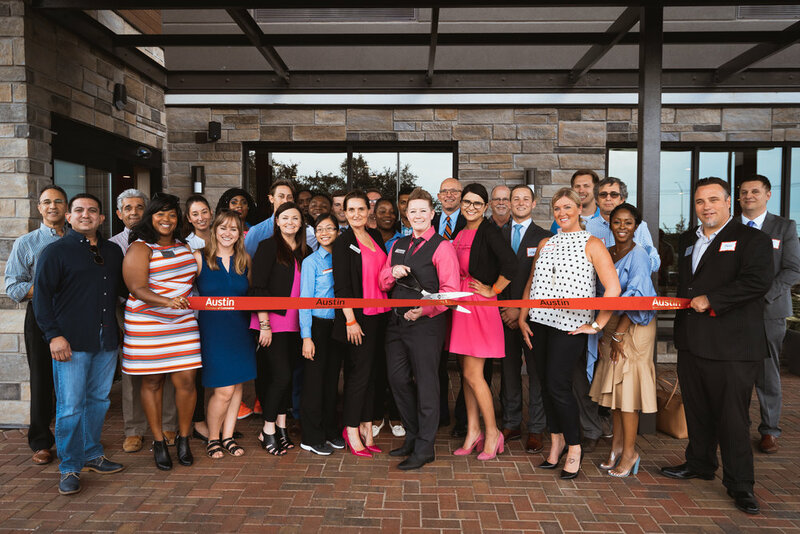 Marriott International’s TownePlace Suites by Marriott Austin North Lakeline celebrated its Grand Opening on Wednesday, August 29th, 2018. The Grand Opening party’s theme was “Let’s Flamingle!” Guests of the hotel were invited to attend, along with Visit Austin and the Austin Chamber of Commerce. Located at 349 21st Ave N, Nashville, TN, THM is opening a Staybridge Suites. This hotel will be just blocks from Vanderbilt and Belmont Universities and in the middle of Centennial Hospital, Children’s Hospital at Tristar, and St. Thomas Midtown Hospital. The hotel will be minutes from downtown and great attractions such as the Nashville Zoo, the Parthenon, and the Grand Ole Opry. The Staybridge Suites-Nashville is a 163-all suite hotel that will have an underground parking garage. It will open late 2019. Working in conjunction with Dakota Legacy Group, THM has 2 hotels currently in development in the vibrant suburb of Franklin, TN. The first property is a Hyatt House, located on Mallory Lane, minutes from historic downtown Franklin and Cool Springs Galleria Mall. Under its first franchise agreement with Hyatt Corporation, THM will own and operate the 128-room Hyatt House, an extended stay hotel that is scheduled to open late fall, 2019. On the same site, construction has already gone underway on a 119-room Staybridge Suites. This will also be an extended stay hotel under a franchise agreement with Intercontinental Hotel Group. We're featured in Business in Focus magazine! 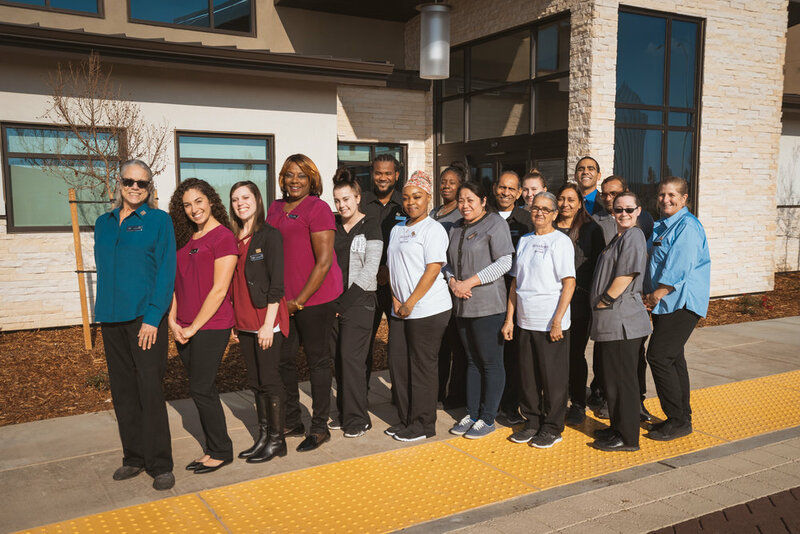 "The first thing you'll notice upon checking into any of Tharaldson Hospitality Management's hotels is that its staff are incredibly friendly; for this team, getting every detail right the first time means the bigger picture is taken care of in the best way possible. No effort is spared in setting guests up for a great experience during their business-class stay with this first-class operator."